The Venezuelan military has already come out in support of Maduro. The gunsights were once firmly on West Asia and North Africa—on Iraq, Libya, Syria and Iran—but now they are focused on Latin America—on Cuba, Zimbabwe, Nicaragua and Venezuela. These countries face economic sanctions and embargoes, threats of annihilation, covert operations and war. The definition of imperialism is simple: if you don’t do what we tell you to do, we’ll destroy you. Pressure on Venezuela has been intense. 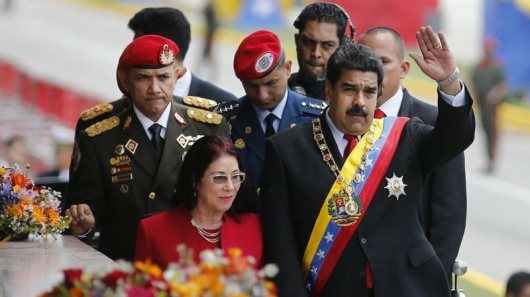 U.S. President Donald Trump has repeatedly called for the overthrow of the government, led by Maduro. Sanctions have been ratcheted up. Economic warfare has become normal. Threats of a military invasion are in the air.